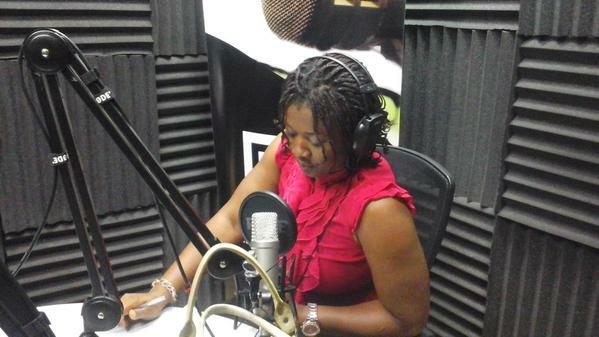 United Nation’s Environmental Programme’s (UNEP’s) recommendations for the clean-up of Ogoniland was the central focus of Spaces for Change’s discussion on Radio 102.3 FM Lagos on August 19, 2015. UNEP had in 2011, released the report of the scientific assessment of oil pollution and environmental degradation in Ogoniland, exposing the public health hazards resulting from the continuing, large-scale contamination of the soil, water, food and livelihood sources in Ogoni communities in Rivers State, South-South Nigeria. For instance, UNEP found that a community drinking well in Nsisioken Ogale was polluted with benzene, a cancer causing substance, at levels 900 times above the World Health Organisation guideline. Beyond the establishment of the Hydrocarbon Pollution Restoration Project, HYPREP, in 2012, significant clean up and remediation exercises have yet to be undertaken in Ogoni in compliance with UNEP’s recommendations. On August 4, 2015, Nigeria’s President Muhammadu Buhari approved several actions to fast-rack the implementation of the UNEP’s recommendation, a move applauded by environmental advocates and stakeholders. He also approved the re-composition of the Governing Council of HYPREP to include: one representative each from the Ministries of Petroleum and Environment, a representative from Rivers which is the impacted state, four representatives from the Nigeria National Petroleum Corporation, two representatives from Ogoni, one from the United Nations and one from the secretariat. Although UNEP recommended an initial capital injection of $1Billion to kick-start the land remediation interventions in Ogoni some of which could take between 5 – 30 years to complete, President Buhari ordered the release of a US$10 million grant, to begin the set of activities for fast-tracking the implementation of the UNEP recommendations. Amid the euphoria, Spaces for Change’s radio discussion drew attention to the serious structural and policy questions that arise from the latest fast-track measures beyond the composition of the governing council and board of trustees of the Hydrocarbon Pollution Restoration Project, HYPREP.